Our contemporary Sierra Ridge collection is finished in a walnut woodgrain chassis with classic white drawer fronts. The wide European cabinet moldings are complemented by over-sized, easy-grasp wood knobs. 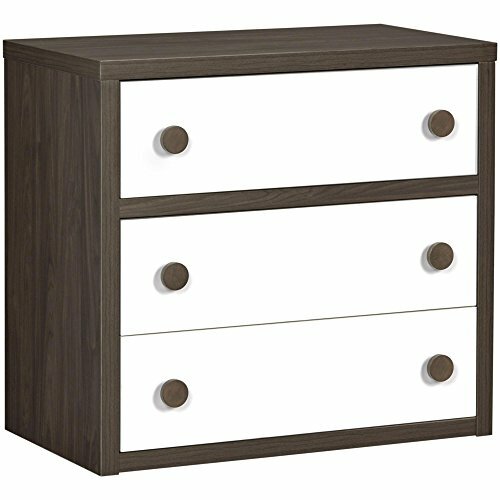 To personalize your dresser, we ship every model with two sets of drawer knobs for you to choose from. Each of the drawers are mounted on steel slides for high quality performance and have a built-in stop. The dresser comes with an easy-to-use wall kit for household safety. Like all Little Seeds products, this purchase helps support a major environmental initiative. Discover how this can help you and your child involve your community in habitat rebuilding.